Dhivya Suryadevara will take over as CFO on 1st September. The 39-year-old Dhivya Suryadevara, who holds an MBA from Harvard University, joined Detroit-based General Motors in 2005 and has held various positions over the years. Since July 2017, the talented girl has been serving as its vice-president for corporate finance. Dhivya Suryadevara was named Automotive News Rising Star in 2016 and a Crain’s Detroit Business 40 Under 40 winner last year. After completing her college in India, Dhivya Suryadevara moved to the US at the age of 22, to attend Harvard Business School, where she got an MBA. Her first job was the investment back and later at the age of 25, she joined General Motors (GM). Dhivya Suryadevara’s family is living in New York and she used to come to New York from Detroit to meet her husband and 10 years old daughter. Dhivya Suryadevara played a very important role in securing a $2.25 billion investment in GM Cruise by Japanese tech giant SoftBank Group Corp. In 2014, Mary Barra became the first woman to make it to the top of a major automobile company as CEO of GM. 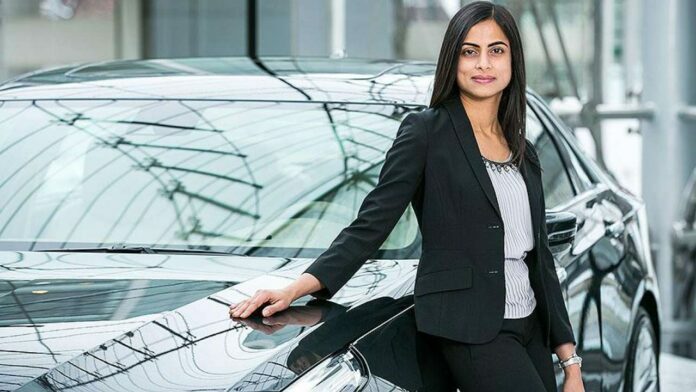 Dhivya Suryadevara is the first female chief financial officer (CFO) in the automaker’s 110-year history and makes GM one of only two Fortune 500 companies that have both a female CEO and CFO.